Ancient Greek philosopher Epictetus was quick with a quote. Most relevant for marketers was his revelation we have two ears and one mouth so that we can listen twice as much as we speak. Let’s acknowledge we may need to work on the listening. Most organizations allocate the vast majority of their sales and marketing spend on “talking” tactics. We host events. We broadcast Webinars. We fire out Email. We distribute content. The hope is all of this noise will inspire a prospect somewhere to express a morsel of interest. Wham! We up the lead score and kick the contact over to sales for follow-up (i.e. more talking). What if we as marketers invested a bit more time listening? Could we bring measurable value to our organization? You know, the type of insight that generates business momentum and growth – not merely a name for sales to pounce on. Here is a story. Federal Technology Insider has been Strategic Communications Group’s (Strategic) most successful online buyer community. Each new sponsor brought a fresh perspective on a timely issue which, in turn, helped us attract more readers. Yet, we noticed something interesting in the analytics. Readers arrived from state government, local municipalities and educational institutions. Our strategy was federal, but the market told us to go broader. 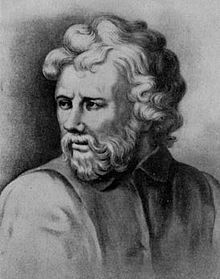 We made Epictetus proud. This month we rebranded the buyer community as Government Technology Insider with an editorial footprint that extends to state/local. The response has been compelling with a high level of reader interest and engagement. Our customers, prospects and other key audiences tell us what they think by how they spend their time. Wade into the analytics from your corporate site, content programs and social media properties. Do some listening!